Thousands of people drive right past this overlook and have no idea that they have just passed one of the most beautiful overlooks on the entire North Shore. You might even recognize this spot as the photo that goes on many Lake Superior calendars – it is truly spectacular. It is a simple one mile drive off of Highway 61 and doesn’t involve any hiking! The road is very steep but very safe. 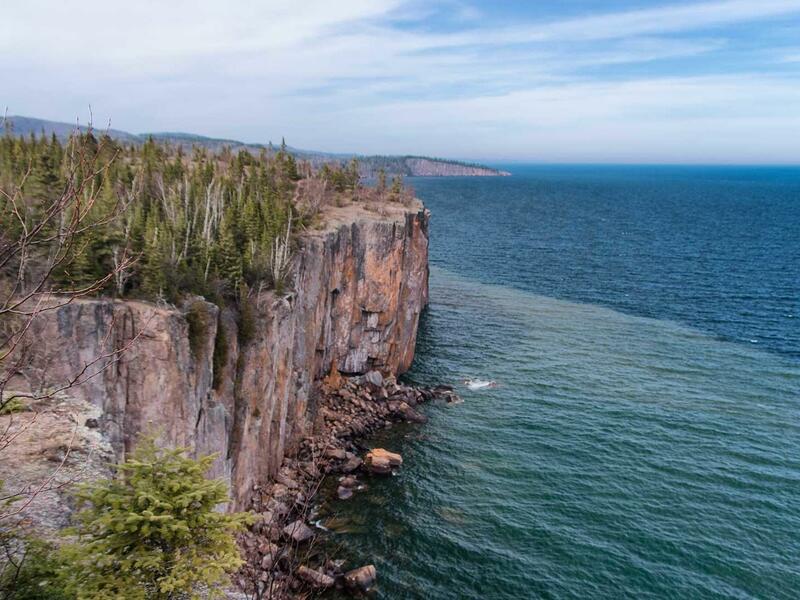 Once at the parking lot, simply get out of your car, walk a few feet and see the grandeur of Lake Superior as you gaze out over steep 350 foot cliffs. Definitely keep a close eye on your little ones if taking them along to this spot. What is great about Palisade Head is that you will be able to look up and down the shore for miles. It is also another great spot to watch rock climbers in action. Turn towards the lake on this short drive to a truly awesome overlook.